Our singular goal at CrushCamp is to help you improve your strength, challenge your body, and crush your fitness goals. After all, if you continue to do the same workout, at the same intensity, day after day, you will plateau quickly and never see those results. To accomplish our goals and your goals, we do things a little differently at CrushCamp. New Coaches undergo a rigorous training program that can take anywhere from 4-12 weeks to complete, after completing their external accreditation. Interested in what it takes? Find more information here. Do you have questions about our team, injuries, modifications, or something we did in class? Drop us a line at sweat@crushcamp.com. As lone wolves, we are strong. As a pack, we are unstoppable. My journey into fitness, and into studio ownership, is different than many. Growing up, I was never naturally athletic or good at sports, and constantly struggled with maintaining a healthy weight and self-esteem. Throughout my teens and twenties, I tried literally every type of fitness available, from marathon training to barre to CrossFit, constantly searching for the activity, or combination of activities, that would keep me motivated and engaged while providing the results I was looking for. CrushCamp is the result of those years of exploration and research. 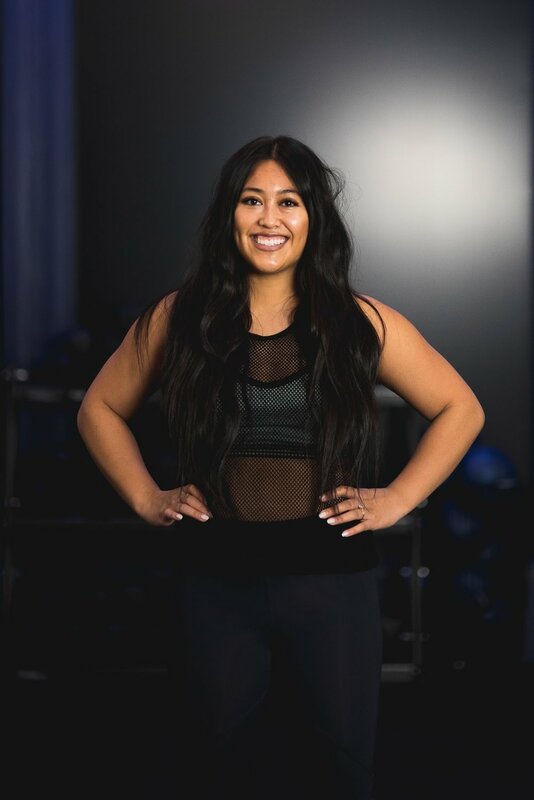 It combines the super-effective full-body workout of a HIIT class, the energizing environment of a spin studio, the mindfulness of yoga, and the supportive, welcoming community of a CrossFit box to create a totally unique experience. Inspired by a lifetime of experiences, but the same as none, CrushCamp is a place where “unathletic” people become athletes. Where athletes become friends. Where negativity does not exist. And where ordinary people, through the power of goals, do extraordinary things. Can't wait to sweat with us? Find out when and where.